I have to admit that I need to post more soup recipes on the blog and YouTube channel since we eat so much soup in Colombia almost every day for lunch, dinner, or both, and not having more recipes like this is just not right. 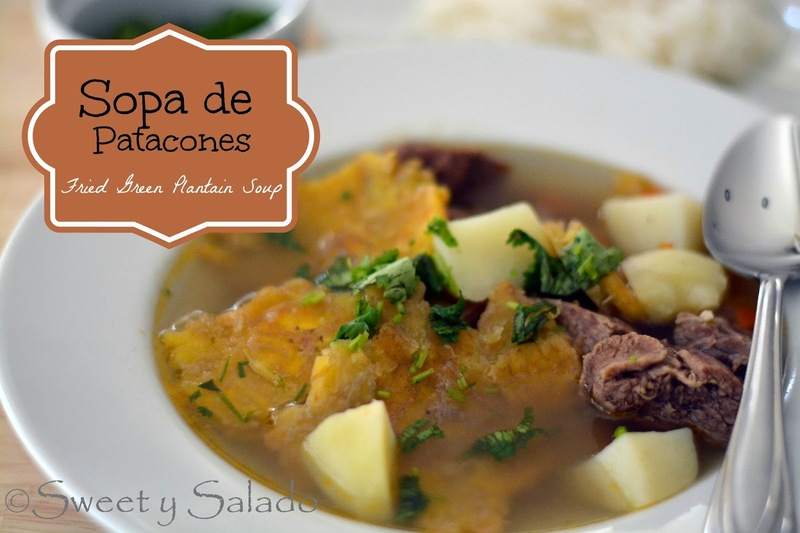 Colombians have come up with all kinds of different soup recipes with a variety of ingredients, such as this fried green plantain or “patacones” soup that I’ll be sharing with you. 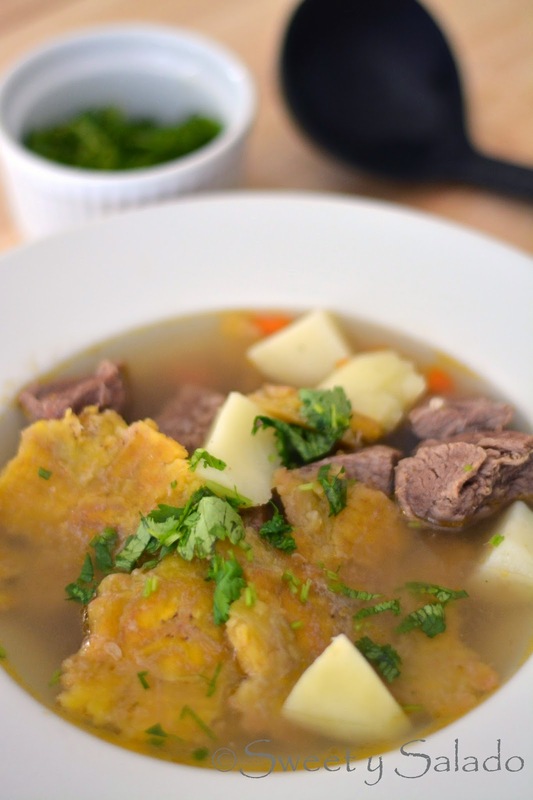 The soup itself is very basic because it’s simply a beef broth made with potatoes and carrots but its flavor is completely enhanced once you add the fried green plantains. In a previous post I shared how to make these Colombian patacones which are so popular in Colombia and so easy to make. You will see that the combination of the beef broth with the fried green plantain is absolutely fabulous. 1. Pour water into a large pot, add the white onion, garlic, carrots, beef and aliños. Season with salt and pepper to taste. Cover and bring to a boil on high heat. Then, reduce heat to medium and cook for about 20-25 minutes. 2. Uncover and the potatoes and fried green plantains. Cover again and bring to a boil on high heat, then reduce to medium and cook for another 20 minutes or until potatoes are tender. Taste for seasoning and add more salt and pepper if needed. 3. Serve immediately with some chopped cilantro sprinkled on top. You can also serve it with white rice and avocado slices.